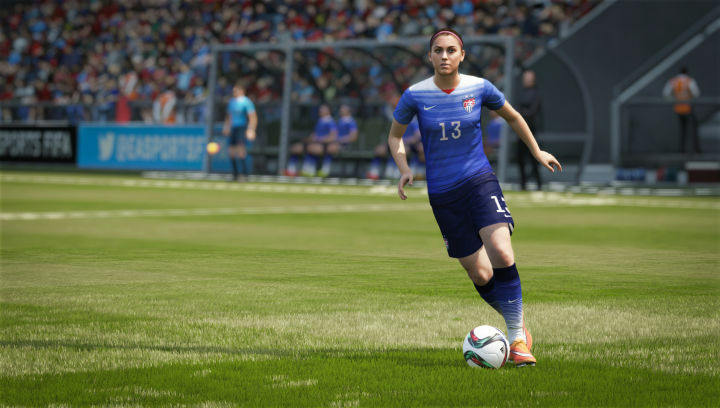 For the first time in its history, women’s football will be featured in the record-selling FIFA video game franchise as announced by EA Sports on Thursday. We’ve been chatting about it in the game team for a couple of years now. As you may or may not know, there’s been petitions to have women put into the game, and I’m lucky enough to be the father of two amazing little girls, and both of them play FIFA a lot. They consistently pester me [about] why they can’t play as women. The 2016 installment of the game will feature 12 women’s international teams, 11 of whom will appear at next month’s World Cup. The countries included are: Australia, Brazil, Canada, China, England, France, Germany, Italy, Mexico, Spain, Sweden, and the United States of America. No Nigeria, but maybe next time.